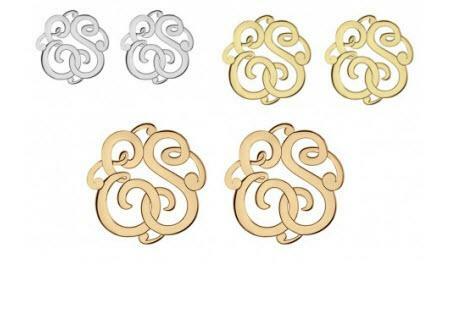 These gorgeous monogrammed stud earrings add a little magic to any ensemble. A great look for the boardroom, the classroom, a hot date, or just day full of shopping around town. They work with all outfits all year long making these a must have accessory! 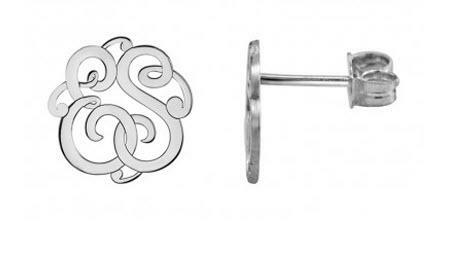 Available in sterling silver choices and gold choices, and monogram with two initials. Please place the two initials that you want exactly as they are to appear in the text block. Price: $185.00 In stock! - Browse this brandOur products are custom made to your specifications. This product ships up to 3 weeks after your order is placed.